The sight of the black flag of the highly feared al-Shabaab organization being burned in the streets of Mogadishu by enraged Somalis was not something the leaders of the radical Islamist group hoped to see at this stage of their struggle for control of Somalia. The street demonstrations against al-Shabaab that followed the brutal December 3 suicide bombing of a graduation of medical students in Mogadishu were unprecedented in a nation where the only political opinions taken seriously are those expressed by gunmen. One protest leader remarked, “Everybody assumed [al-Shabaab members] were fighting foreigners and the government, but we realized on Thursday [December 3] that they are at war with us; it was the last straw. They are killing our best and brightest. They are the enemy” (IRIN, December 11). The attack by a suicide bomber dressed as a woman that killed 23 people, including badly needed medical graduates, parents, professors, journalists and three cabinet ministers of Somalia’s hard-pressed Transitional Federal Government (TFG), may be the start of a reversal of fortunes for the Islamist rebels of al-Shabaab, who have diverted resources from their assault on the TFG to fight Sufis and fellow Islamists alike over the last year. The movement is increasingly seen as an occupation force, with news of its imminent arrival in a certain town or region inevitably preceded by a rush by civilians to leave the area first. Soon after the bombing came the dismissal of the TFG’s police commander, Abdi Hassan Awale, and the TFG military commander, Yusuf Hussein. Kenyan police have intensified their patrols of Nairobi’s largely ethnic-Somali suburb of Eastleigh, with reports of over 80 arrests in two days (Reuters, December 6). Though few in Somalia doubt al-Shabaab’s responsibility for the attack, noting that al-Shabaab is the only Somali group using suicide bombers, the movement’s spokesman, Shaykh Ali Mahmud Raage (a.k.a. Shaykh Ali Dheere), quickly blamed the government itself for the attack, which appears to have been designed to kill the three TFG cabinet ministers. “We have no relation to this attack – it is from the enemy… We know that some so-called government officials left the scene of the explosion just minutes before the attack. That is why it is clear that they were behind the killing… We do not target innocent people” (Raxanreeb.com, December 4; al-Jazeera, December 3). Local investigations revealed that the suicide bomber was a 26-year-old Copenhagen native and Danish citizen of Somali descent named Abdurrahman. Formerly known for nightclubbing and playing football, Abdurrahman began to change his behavior several years ago, withdrawing from his friends and former activities before deciding to return to Somalia in June 2008 “to study Islam” (Somaliweyn Media Center, December 10). According to the TFG Speaker of Parliament, Shaykh Adan Muhammad Madobe, “It is unfortunate that a child whose parents escaped Somalia’s conflict and raised him in Europe came home with extremist ideologies and blew himself and innocent people up” (Reuters, December 11). Abdurrahman left his pregnant wife behind in the Somali coastal town of Marka, an al-Shabaab stronghold (Mareeg Online, December 11; Somaliweyn Media Center, December 10). There are also reports of a change of leadership within al-Shabaab, but these remain unconfirmed. 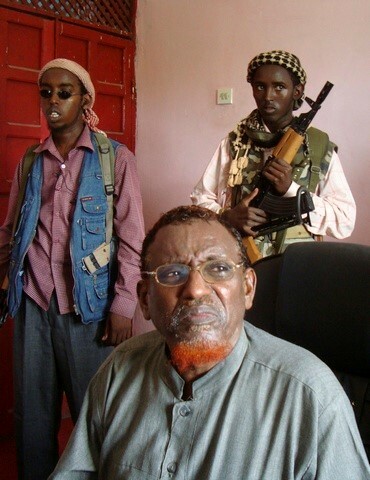 Djibouti’s Foreign Affairs minister, Mahmud Ali Yusuf, told an al-Sharq al-Awsat reporter on December 8 that Comoros Islands native and long-time al-Qaeda operative Fazul Abdullah Muhammad had taken over control of al-Shabaab from Shaykh Ahmad Abdi Godane (a.k.a. Abu Zubayr), who has been less visible than usual since he was seriously wounded in a suicide bomb-training incident in May (Garowe Online, December 8; Mareeg Online, December 8). Though Fazul Abdullah may have stepped up in the organization after the death of fellow al-Qaeda operative Salah Ali Nabhan in a September U.S. missile strike, it seems unlikely that the leadership of al-Shabaab could be taken over by a non-Somali. The movement has not confirmed the report or made any announcement regarding a change in leadership. 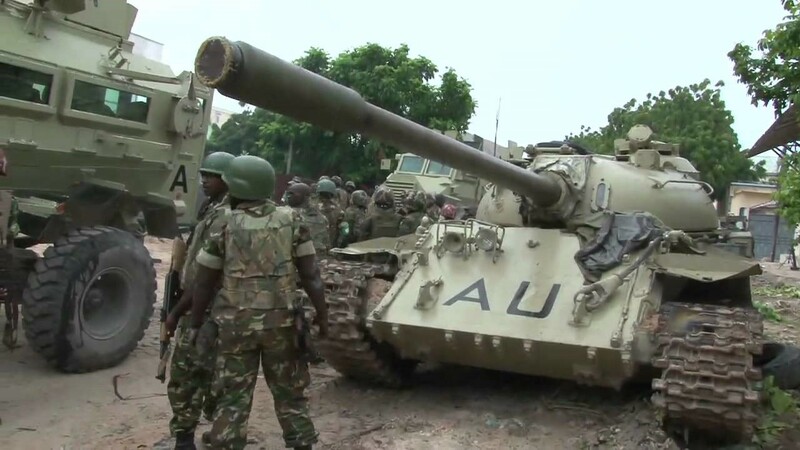 The hard-pressed Ugandan and Burundian troops of the African Union Mission in Somalia (AMISOM) are the last line of defense for Somalia’s Transitional Federal Government (TFG), which now controls only a few neighborhoods of Mogadishu. With the recent defeat of rival Islamist militia Hizb al-Islam, the radical al-Shabaab movement has emerged as the main challenger to the TFG. The African Union’s special representative for Somalia, former Kenyan MP Wafula Athanas Wamunyinyi, has issued dire warnings of an al-Qaeda takeover of Somalia, “considering the grip they have on the country” (New Vision [Kampala], December 3). Wamunyinyi says al-Shabaab has recruited 1,200 fighters in Pakistan, Afghanistan, Bangladesh, Tanzania, Kenya, Sudan, Uganda and the United States. “With the involvement of foreign fighters, we need to adopt a new approach towards the conflict in Somalia, away from the perception that these are clans fighting.” Kenyans are reported to represent half this force, being recruited from the same ethnic-Somali community in northeast Kenya that the TFG is also drawing on for recruits (New Vision, December 4). • Abu Musa Mombasa is a Pakistani who has replaced the late Saleh Ali Nahbhan as the head of security and training operations for al-Shabaab. • The American Abu Mansur al-Amriki heads the finance and payroll department of the foreign mujahideen. • Sudanese national Mohamoud Mujajir is in charge of suicide bombing operations (New Vision, December 3). A Ugandan AMISOM officer, Major Bahoku Barigye, reported that he had personally spoken to three al-Shabaab members from Uganda, who said they knew where he lived in Kampala and threatened his family. One of the militants told Major Barigye he was a member of the Alliance of Democratic Forces, an Islamist militant group that has operated along the border with the Democratic Republic of the Congo (DRC) since 1996 (see Terrorism Monitor, December 5, 2007). AMISOM commander, Major General Nathan Mugisha (Uganda), is less emphatic regarding al-Qaeda’s physical presence in Somalia. “I think there’s a relationship between activities here and al-Qaeda… There’s mutual support and I think the way they behave is similar” (AFP, November 28). The question is whether reports of a substantial al-Qaeda presence are intelligence-driven or politically inspired as a means of obtaining greater military and financial support for a mission that is badly undermanned and underfunded. Still 3,000 troops short of its mandated force of 8,000, AMISOM will soon receive reinforcements from Djibouti; but Ghana, Nigeria, Malawi and Sierra Leone have yet to send the units they promised. In the midst of extensive coverage of President Obama’s decision to send another 30,000 U.S. troops to Afghanistan, the Taliban’s response was little noticed. A formal statement from the Islamic Emirate of Afghanistan was carried by the Afghan Islamic Press on December 2. 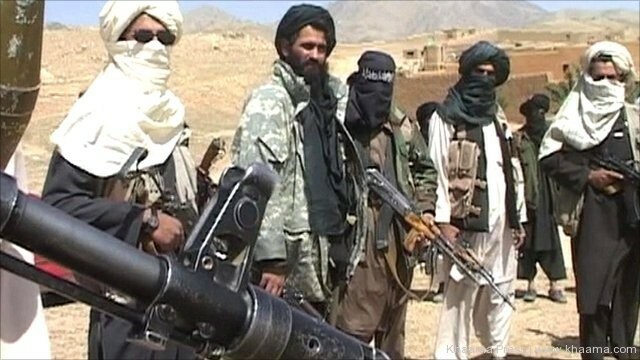 In a further statement carried on the Taliban’s Pashto-language Shamat website, the Taliban state their belief that America’s allies have told President Obama “frankly and firmly” that they are no longer interested in pursuing the war in Afghanistan and are not prepared to send new troops. Obama and the American people should know that the former Soviet Union sent many more troops to Afghanistan and that their puppets were much more powerful and warmongering then the current puppets. However, since Afghanistan is the graveyard of the invaders and colonialists and this nation has the historic honor of bringing down invaders and those who claim to be pharaohs [i.e. tyrants], therefore the Americans should also start the countdown for facing the same fate. Noticeably absent from the Taliban statements was the racial invective found in earlier Taliban references to President Obama. This may be part of Mullah Omar’s more conciliatory approach and the movement’s new effort to position itself as a legitimate and responsible alternative to the corrupt Karzai government. The Kabul government took a more optimistic approach to the President’s commitment of more troops. Afghan Foreign Minister Rangin Dadfar Spanta said the additional deployment was exactly what the government was looking for, “so that we ourselves should eventually take the responsibility and our guests can return to their homes safe and sound as soon as possible” (Tolo TV [Kabul], December 2). There are many forces at work in Somalia today that are intentionally or unintentionally tearing the country apart. Already afflicted by the scourges of clanism, tribalism, and separatism, Somalia is now being divided by the one factor that has always united it in the past – religion. With some exceptions, such as the Muslim Brothers, political Islam in Somalia is social activist rather than intellectual in nature. 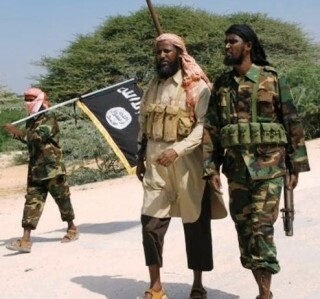 None of the militant Islamist movements in Somalia have produced any comprehensive statement of ideals and methods, least of all al-Shabaab, whose internal and external political program appears to consist largely of issuing threats against their opponents and neighbors. President Shaykh Sharif Shaykh Ahmad appears to be one of the most thoughtful of Somalia’s Islamists, yet he has been strikingly unsuccessful in presenting a political program capable of capturing the imagination of Somalis. 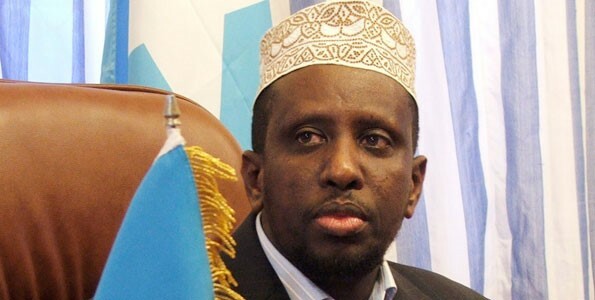 His implementation of Islamic law in Somalia means little so long as the TFG [Transitional Federal Government] controls only a few neighborhoods in Mogadishu. In Somalia, the application of Islamic law in all legal matters is a major innovation. Until recently Somalis followed a customary law known as “Heer,” administered by elders rather than the government. Shari’a was reserved for family and inheritance cases. The imposition of Shari’a thus represents an extension of central authority into an essentially stateless society. The hasty implementation of Shari’a, however, has been done without the establishment of any consensus regarding the school of Islamic jurisprudence to be followed, among many other unsettled issues. Islamic law in south Somalia remains in the hands of the gunmen of the various armed opposition groups, who apply their own interpretation of Shari’a on an improvised basis. Al-Shabaab’s Islam is of the Takfiri variety – in other words it seeks out all those who disagree with its crude variety of Salafism and condemns them as infidels. Needless to say, this is very polarizing and creates more enemies than friends, particularly in a country in which Salafism is a recent and unfamiliar intruder. This inflexibility in matters of religion is the main reason al-Shabaab has not yet taken Mogadishu and expelled the Transitional Federal Government. Instead of taking the capital last year, al-Shabaab chose to carry out a series of needless and unprofitable provocations against the vast Sufi religious community in Somalia, sparking the creation of a formidable Sufi militia dedicated not so much to the preservation of the TFG, as to the eradication of al-Shabaab. The Sufi militias are the militant expression of those Somalis who reject the introduction of the unfamiliar and untraditional Salafism promoted by al-Shabaab’s leaders. In Sufi-dominated Islamic societies it is customary for the graves or tombs of noted Sufi shaykhs to become shrines and even places of pilgrimage for members of the Sufi orders. Salafists condemn this practice as un-Islamic and a violation of monotheism. In Somalia, al-Shabaab has engaged in the destruction of tombs belonging to venerated Sufi “saints.” In early December, 2008, al-Shabaab destroyed the tombs of several Sufi shaykhs in Kismayo, claiming Somali Sufis were worshipping the dead rather than God. Again this year, just as al-Shabaab seemed ready to expel the TFG, it turned against its ally, the Hizb al-Islam Islamist militia, breaking its power-sharing agreement in the port of Kismayo. When the larger Hizb al-Islam movement objected, al-Shabaab began diverting resources to a new conflict with their former partners. A large al-Shabaab offensive in South Somalia in recent weeks has driven many Hizb al-Islam fighters out of the Juba valley across the border into the ethnic-Somali region of northeast Kenya. At the same time, the Sufis have mounted their own offensive against al-Shabaab in the adjacent Gedo region. What separates al-Shabaab from the other movements in Somalia is the relentlessness of its attacks; Shabaab assassins are everywhere, tossing grenades into meetings of its rivals, gunning down politicians or driving bomb-laden vehicles into various security headquarters with devastating results. Two attempts have been made on the president this fall alone. Even mosques have become the target of bombs and grenades, a disturbing trend that follows patterns already seen in Iraq, Pakistan and Sudan. This ruthless tactical approach, which takes little heed of the lives of innocents, is beginning to resemble the worst excesses of the late Abu Musab al-Zarqawi’s al-Qaeda in Iraq – an explosion of almost senseless brutality inflicted on fellow Muslims. In mid-November, Hizb al-Islam officials met with senior religious scholars in Mogadishu to examine ways of having the scholars play a more active role in resolving the conflict. The meeting was something of a breakthrough, since Hizb al-Islam is only one of a number of Islamist factions, including al-Shabaab, that have routinely ignored the fatwa-s of the religious scholars calling for an end to the fighting in Somalia. Shaykh Hassan Dahir Aweys, has given the TFG a list of demands to be met if Hizb al-Islam is to join a coalition government, an action sure to incite his partners in al-Shabaab, who refuse to have anything to do with the government in Mogadishu. Unfortunately for the shaykh, his power base is melting away as his followers turn their weapons over to al-Shabaab or flee to Kenya. While al-Shabaab has received the verbal support of the core al-Qaeda leadership, including Osama bin Laden, Ayman al-Zawahiri and Abu Yahya al-Libi, there are others in the Salafi-Jihadi movement who have cautioned al-Shabaab about their divisive approach. Hamid al-Ali insists the transitional government of Shaykh Sharif is only an “Islamic façade” for a regional American plan. The president has added Islamic figures to his government, but these scholars either do not know the truth about him or have deceived themselves into thinking they will find the solution to Somalia’s troubles within “the framework of the ‘Muslim-American’ plan,” as he calls it. He compares the African Union force protecting the president to the NATO forces that guard the palace of Hamid Karzai in Afghanistan. According to the Shaykh, the president’s implementation of Shari’a was only an attempt to buy time until AFRICOM can achieve its objectives in Somalia and the Horn of Africa. Jordanian Salafi-Jihadi ideologue Abu Muhammad al-Maqdisi, the former mentor of Abu Musab al-Zarqawi, condemns Shaykh Sharif as an agent of the Antichrist [al-Masih al-Dajal] whose version of paradise is an “American hellfire of AIDS, moral deterioration, economic corruption, social ruin, and rejection of God`s laws.” The remarks followed the Somali President’s attack on the terrorist and takfiri tendencies of al-Shabaab. According to al-Maqdisi, the American campaign against terrorism is nothing less than “a war on Islam and jihad.” He rejects criticism of al-Shabaab’s unpopular implementation of severe hudud punishments for violation of Islamic law, citing a saying that applying one hudud sentence is better for the people than a week’s worth of rain. He goes on to describe the Saudi Wahhabi scholars who reject the “exaggeration and extremism” of al-Shabaab’s version of Islamic jurisprudence in favor of a faith of mercy and compassion as advocates of the Khawarjite ideology of deception and distortion. In al-Maqdisi’s view, Shaykh Sharif has irrevocably tainted himself through association with non-believers, calling on Muslims in Somalia and elsewhere to announce their support for al-Shabaab. Earlier this year, Osama bin Laden issued an appeal to the people of Somalia to rise up and overthrow the government of Shaykh Sharif. There are other Islamists, however, who question these short-sighted calls for political violence. A leading member of Somalia’s Muslim Brotherhood [Dr. Kamal al-Hilbawi] said, “We want to know the form of government that bin Laden and his deputy Ayman al-Zawahiri want in Somalia. They are neither satisfied with HAMAS, nor the Muslim Brotherhood organization, or the moderate leader, Shaykh Sharif Shaykh Ahmad.” Somalia’s Muslim Brothers have in turn been criticized on Salafist web forums. The Muslim Brothers opposed the Islamic Courts Union and all the active militant Islamist groups, favoring gradual and moderate Islamic reforms over political violence. One jihadi ideologue [Dr. Akram Hijazi] suggested the Brothers’ peaceful approach was designed to allow them to conserve their strength before sweeping in to seize power from other Islamist movements that have exhausted themselves fighting foreign interference. The chairman of the Somali Sufi movement [Shaykh Sharif Shaykh Muhieddin] recently described al-Shabaab as “misguided people who have misunderstood the true values of Islam.” By contrast the Ahlu Sunna wa’l-Jamaa Sufi movement is defending a way of life threatened by, as he put it, “al-Shabaab’s madness.” For now the Sufi movement promises to lay down arms as soon as al-Shabaab is eliminated, but armed movements tend to take on a life of their own. 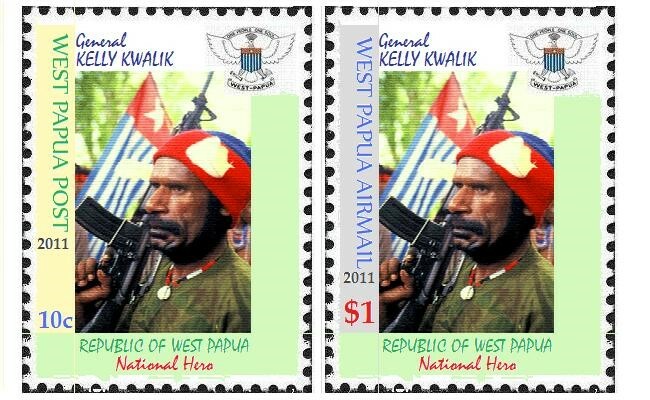 The Sufi militants are looking for military support and training, but complain none has been forthcoming. Despite this, the Sufis have a formidable nationwide network and are determined to avenge al-Shabaab’s destruction of the tombs and shrines of their saints. One of the most egregious examples of sectarian violence in Somalia came in August when five Pakistani preachers were killed and two wounded in an attack on a mosque in central Somalia [Galkayo]. The preachers were recently arrived members of the Tablighi Jamaat, an international conservative Islamic movement based in Pakistan. The growth of the socially conservative Tablighi Jamaat in Somalia has come largely at the expense of the local Sufi orders, but the Sufi Ahlu Sunnah wa’l-Jama’a denied being behind the murders, as did al-Shabaab. For the Tablighis, the incident was a bitter reminder of the Ethiopian slaughter of 11 Jama’at members at a Mogadishu mosque in 2008. And what about the loyalties of the actual gunmen? Continuing defections from one group to another suggest that, in typical Somali fashion, clan identification, belonging to the political group in the ascendance and a steady income are more important factors than ideology. The TFG claims to have received a number of defecting senior al-Shabaab commanders in recent weeks, as a result of these officials having come to the conclusion that the TFG is indeed an Islamic government. President Sharif has acknowledged his government is doing everything possible to widen the rift between Hizb al-Islam and al-Shabaab, though the unintentional result of this policy may be a stronger al-Shabaab. This sudden explosion in Islamic sectarianism in Somalia will almost certainly extend the ongoing conflict and will present a formidable roadblock to a negotiated settlement, virtually the only hope for resolution in a nation where no single force seems capable of assuming control. An al-Qaeda videotape showing the execution of a Yemeni military intelligence chief began circulating throughout Yemen by Bluetooth technology on November 26. The video was produced by al-Malahim Establishment for Media Production, the media wing of al-Qaeda in the Arabian Peninsula (AQAP). Entitled “The Demise of Traitors 1,” the videotape addressed al-Qaeda’s view of Muslims who “collaborate” with the West before proceeding to give a practical lesson in the fate of such “collaborators” in the form of Lieutenant Colonel Bassam Sulayman Tarbush al-Sharqabi, the intelligence chief for Marib Province, who was captured by al-Qaeda last June. Though not mentioned explicitly, a large part of the tape appears devoted to warning off Yemenis from providing intelligence to U.S. forces that would allow them to target al-Qaeda leaders in Yemen with missile strikes from Predator drones. Given the tactical success of drone strikes in northwest Pakistan, al-Qaeda leaders in Yemen and Saudi Arabia may naturally be concerned about being targeted in a similar manner. Colonel Tarbush was widely believed in Yemen to have provided the intelligence that allowed a U.S. 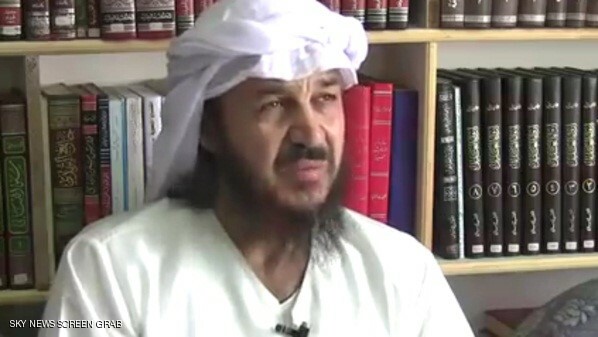 Predator to kill local al-Qaeda leader Ali Qaed Sunian al-Harithi (a.k.a. 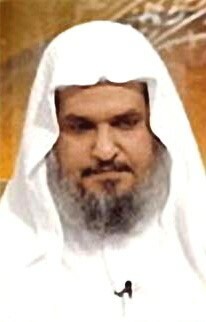 Abu Ali) in 2002. The videotape warns of “mercenaries” who collaborated with the Jews and Christians for money. “The lowest and vilest of these collaborators are the spies, who continue to help the enemies of the nation of Islam: the rulers, collaborators and allies of America.” The tape then shows footage of an infrared strobe light of the type used to mark targets for night attacks. Viewers are warned of spies who plant such instruments on targets designated for air strikes. Colonel Tarbush, who appears blindfolded at all times in the video, is described as an individual who spied on Muslims and the mujahideen. 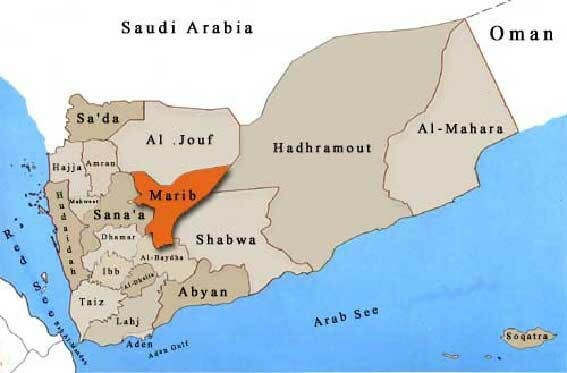 “He oversees a network of spies, and recruits clan members to spy on Muslims.” Tarbush was an expert in the intricacies of clan politics in Marib region, where he spent the last ten of his 14 years in the security services. 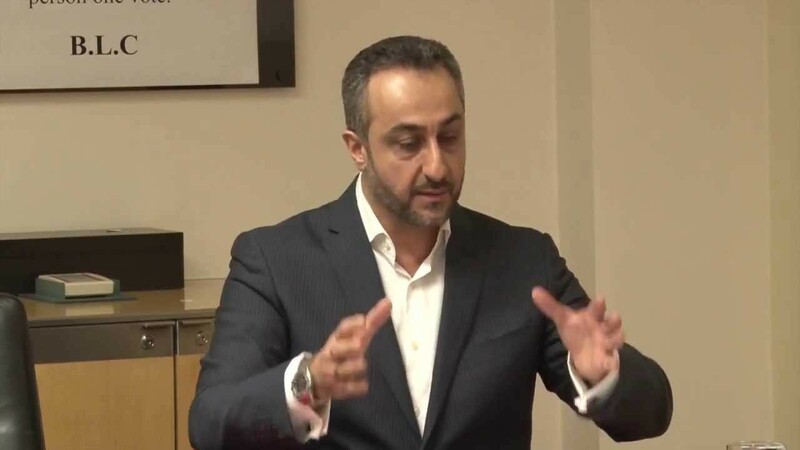 His experience also allowed him to build a local intelligence network, though he admits in the video that he has revealed the names of all his agents to al-Qaeda interrogators. After being led before a firing squad of masked men, the image cuts out and only gunfire is heard, followed by footage of the apparently dead body of Colonel Tarbush. China’s Xinhua news agency later said senior Yemeni security officials had confirmed the Colonel’s death (Xinhua, November 26). The apparent execution of Colonel Tarbush follows an earlier AQAP warning to the “infidel” rulers of Yemen, who “opened bureaus to spy on the mujahideen and even on the Muslims in general” (Audio statement of Shaykh Abu al-Zubayr Adil al-Abbab, Al-Malahim Establishment for Media Production, October 22). A posting on a jihadist website said the execution videotape gave “special solace to all those family members of those mujahideen who were tortured, handicapped and in many cases killed under the supervision of these [security] officials” (ansarnet.info, November 27).